Now that the dust has settled from more than twenty countries of travel, dozens of conferences, major events and community meet and greets this year, I’ve finally had the time to reflect on the progress of the Cardano project as well as some of the lessons I’ve learned. It’s honestly been the most challenging year of my life filled with drama, stress, death and some unbelievably cruel people. It’s also been one of the most rewarding and joyful having the chance to meet thousands of passionate and kind fans, technologists and scientists- I can see the inspiration that Charles Dickens had when he said it was the best of times and the worst of times. I’ve gained significant strength and a much needed boost in morale from interacting with our community. For example, one member asked about how we were verifying the proofs in the Ouroboros paper and I posted a link to Kawin’s Isabelle repo. Most would simply say that’s nice and move on. This member took the time to read the code and mentioned we have a long way to go with specific examples. For most people, Isabelle is a name followed by a lake in Minnesota. For our community, some can actually read the code and comment on it. That’s a rare gift and it’s the privilege of a lifetime to be in this kind of environment (we ending up hiring the person who commented on the code). We designed the Byron (the September release of Cardano) to be the minimum viable product necessary to test the concepts Cardano is built upon. We wanted to run Ouroboros in a production setting to see epochs function properly. We wanted extensive logging of both the edge nodes and relays to see how our network is being used. We wanted to have third parties play with our APIs and tell us where we screwed up (boy did they ever!). We wanted to test the update system a few times. Constantly living in the moment, one tends to eschew Cardano’s vast scope in exchange for the problem of the week. But looking at our ever growing whiteboard series demonstrates how many brilliant people wake up every morning thinking about how to solve the problems of scalability, interoperability and sustainability. These aren’t just hypothetical lectures. They are backed by papers, funding and developers working full time. Then there are the new things. Professor Rosu’s and Runtime Verification’s work on K and semantics based compilation isn’t just really smart competitive differentiation, it’s literally moving the chains of the entire field of programming language theory. The Cardano project is creating a financial incentive to have correct by construction infrastructure from virtual machines to compilers. Our success means you don’t have to hand write this code ever again- not just in a cryptocurrency context; in a general context. Professor Bingsheng Zhang’s research on treasuries and voting is groundbreaking. It’s giving our project the ability to have a discussion about how should changes to cryptocurrencies be proposed, debated, approved and funded. 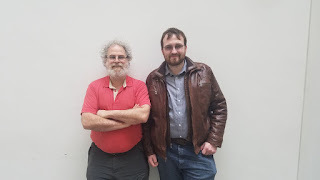 What’s most special here is the interdisciplinary nature of the effort that can draw from political science, game theory, sociology, open source software governance and computer science. There is something for everybody. I could continue enumerate our research efforts (there’s a lot more to write), but I think the point has been made. Cardano isn’t a cryptocurrency as much as it is a movement of minds who are frustrated with the way technology works in practice. The functional programming community has had for decades great solutions to many of the problems plaguing modern developers, but they have been historically ignored. Our RINA guys if given a chance could build a much better and more fair internet. Layering protocol development with formal methods extracts a much cleaner and more meaningful design process where ambiguity and hand waving is slain. Woah that was intense but we got it. Thank You for all the hard work guys. Looking forward to big things come 2018 and beyond as we grow as a community together. Keep going Charles! Don't let internet nay-sayers get you down. Cardano is the most promising project out there. Congratulations to you and all at Cardano, IOHK, etc... Merry Christmas and a happy new year. Just keeping treading this path and others will unite and build a better world. Congratulations Sir!! dream team and great project!! Great Article! Glad that I chose to be a part of this wonderful opportunity! Keep up the good work Charles! Nice one! Keep up the great work! Decentralization is definitely the path forward. It thrills me to no end that smart, nerdy people will once again change the world for the better. A huge thank you to Charles and the Cadano Team / IOHK — your hard work does not go unappreciated! Ps. Merry Christmas to all! And to all, a Merry Christmas! Collaboration between ICOs is going to be king and possible company buy outs...or unification..ADADASHPIVX!..... Thanks for the HARD work!!!! here is to a great 2018! I’m by far not an expert in none of the technology above mentioned. But I certainly am excited about Cardano’s project. Not only about the crypto but all the new concept and ideas you guys are bringing to life. I will keep supporting the project in anyway I can. Merry Christmas to all. From an ageing uneducated truck driver in a small outback town in Central Queensland Australia I would like to extend to you and through you Charles,to the whole Cardano / IOHK team a very Merry Christmas and an exciting, fulfilling and prosperous year ahead. Even though I do not understand the technical of your whiteboard presentations and writings somehow through the ether of the universe I feel intensely the dream and passion that you have for this project and it honestly brings tears to my eyes. When Charlie Lee tweeted "Either the market is crazy or Cardano will end world hunger" I thought well, maybe not end world hunger ..... but it seems to be building a platform so that others may do so ! I was reminded of the metaphor of Bernard of Chartres and dwarfs perched on the shoulders of giants! 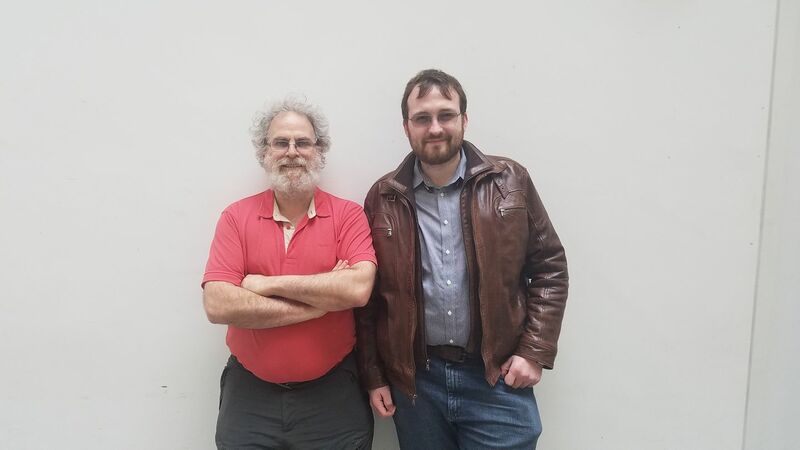 I believe the inhabitants of the earth of the future will see Charles Hoskinson and all involved in the Cardano Project as GIANTS ! All the best and I look forward to following the progress of you and the many teams involved through the coming year. So excited. And so impressed with the team’s rigor & innovation. Thanks for sharing Charles. Time to show the power of functional programming. Beside the ADA which I hold, you have been an inspiring force in my life as of recently, as I'm fascinated by you, Cardano &v the information regarding the tech. Merry Christmas Charles. Kudos Charles! Amazing Project! Amazing Team! Amazing Community! Keep Up and Never Give Up! Sky is the limit for Cardano! Wish you Merry Christmas and a Wonderful New Year to You and the Team! I think about Cardano every day. It is an instrument of peace. I haven't been this excited about the future since my daughter was born. Thank you for intellectually applying your philosophy to the short comings of the crypto-tech. I look forward to this game-changer. Please take my money for #ADA #Cardano and work for it. Cardano 2018! Enjoy the interviews and whiteboard vids. Exciting times ahead. Thanks for giving the 3 billion un-bankable people Hope! THANK YOU! If you are spiritual, as am I, you are doing the work of God. Tis' the truest definition of a Good vs Evil paradigm. However, positivity shall always prevail. I pray that the great minds at Dash, Eth and various Hashgraph groups will find a way to work collectively as a community. A community of brilliant minds tasked with saving this planet one block or graph at a time. Matthew Scott Spellacy M.S.,CFA L2 Cand. If you are looking to Hire Blockchain Developers then you are at right place. We are renowned Blockchain Application Development Company who are expert in developing blockchain projects according to client's requirements. You can Hire Blockchain Freelancers from our pool of developers at affordable price. we also provide Hire Blockchain Consultant to help our client's to achieve their business goals with Hire Blockchain Expert. Thanks for sharing trading platforms for cyrptocurrency. Nice Blog. Develop a crypto trading character: SUBSCRIBE to Killer Whale Token ! Here is list of top Cryptocurrency Investing Strategies whether you are a beginner or a professional follow learning centre for cryptocurrency investors. Read tutorials, guides, tips and tricks materials which could be useful for newcomers and professionals. Cryptocurrency May have fallen to an unimaginable amount but that doesn’t stop you from earning , why hold your coins now where as you can invest and increase your portfolio, in this time of coin fallen the best as a wise investor is to invest your coin to a companies that gives daily profit even when the coin is below your imagination, there’s a lot to learn from tradeguides start from the SPI server point indicator this helps in predicting the rise and fall of any coin and automatically stop any trading . Kindly contact tradeguides@ consultant .com for more tips on how to increase your portfolio especially now the coin is below $5000. AugustIQ Consulting Business Model - One stop solution for all your IT needs for your organization. Most progressive and highly affordable technology 100% IT efficiency and thereby advance your business goals. The Dirty Facts on Bitcoin Exchanges These days, however, most bitcoin exchanges are created through internet trading platforms. They are an important part of the crypto currency exchange world, as they allow buying and selling Bitcoins as well as altcoins. You now learn more about bitcoin exchanges and the value of finding one that is suitable for your requirements. The majority of the exchanges have various prices for purchasing and selling crypto-currency. Also, make sure to check if it offers locked in' pricing. Other exchanges in the usa and around the world are guaranteed to follow along with.